Sleep Apnea Symptoms In Men: What They Are And Who Are At High Risk? Do You Stop Breathing While Sleeping? Talk To Your Doctor Today! 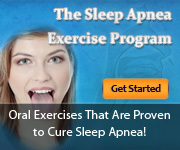 Sleep Apnea Definition: What It Is and What You Need To Know About the Disorder? Sleep Apnea Symptoms In Women: What Are They? Why They Are Mostly Overlooked?